Light Sources when electricity isn't available. This is a discussion on Light Sources when electricity isn't available. within the Prepping & Natural Disasters forums, part of the Education & Training category! Lights flickered once last evening but that was it. Hasn't gotten above freezing since the snow fell. Going to be unbelievably cold for us tonight. Depending on which source you look at anywhere from 3 to -4 degrees. Neither of which I intend to go out in. If a widespread power outage happens for any length of time then people are going to start freezing to death. That is why I installed an alternate heat source. Didn't want to be fully dependent on the power company. I would hate for a SHTF incident anytime but particularly this time of year. Power just came back on..... what have I missed??? SilvrSRT10 and oppo like this. Good to hear . Stay warm. That's one way to deal with it. Last edited by kwo51; 01-10-2017 at 09:40 PM. Couldn't stomach listening to him before, not going to start now. Just leave already. Going back to power generation at home. Any body try these home made generators yet? 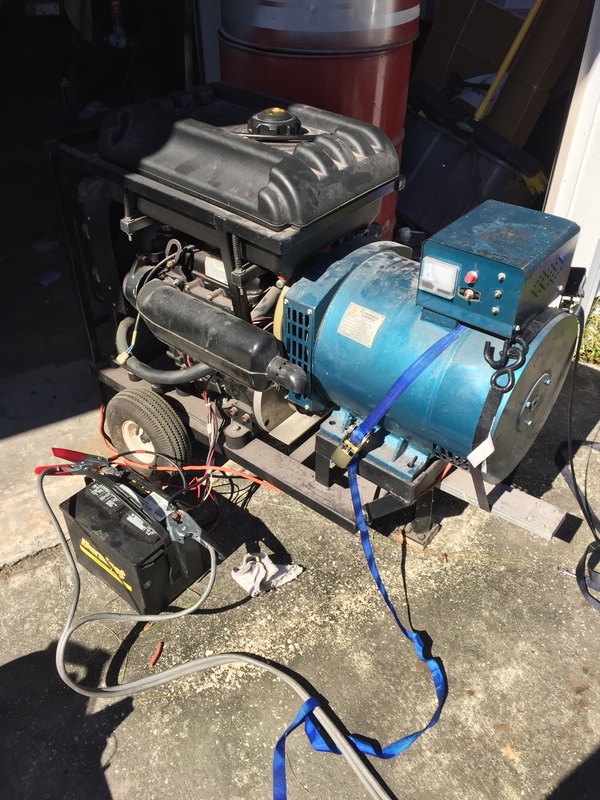 I made a generator out of a salvaged water cooled three cylinder Kubota and an ST 10k gen head. Powers most of the house and burns 1 gallon of diesel every 4 hours. Heres a pic of the test and tune stage. SilvrSRT10, oppo and kwo51 like this. I have a 8000 watt that will do all I need on fuel . I am looking for storage and maybe methane run units. Just looking here to see if any off grid people are here. When power is out here toilets don't flush.